Commissioned by the Natural History Museum. The Moon watches from a distance: our constant companion in eternal orbit. A relationship that stretches over hundreds of thousands of miles. A bond across time and space. Experience the push and pull of our Companion: Moon through movement, sound and place as Coney invites you on an intimate exploration of the Moon’s enduring connection to our planet Earth. COMPANION: MOON is a new experience by Coney for Natural History Museum visitors, taking place alongside Luke Jerram’s Museum of the Moon. Inspired by Jerram’s artwork and conversations with Natural History Museum scientists, visitors of all ages can join in or observe as multiple art forms and science combine in a beautiful, gentle and open encounter exploring the relationship between our planet and the Moon. Admission is free with no need to book ahead. 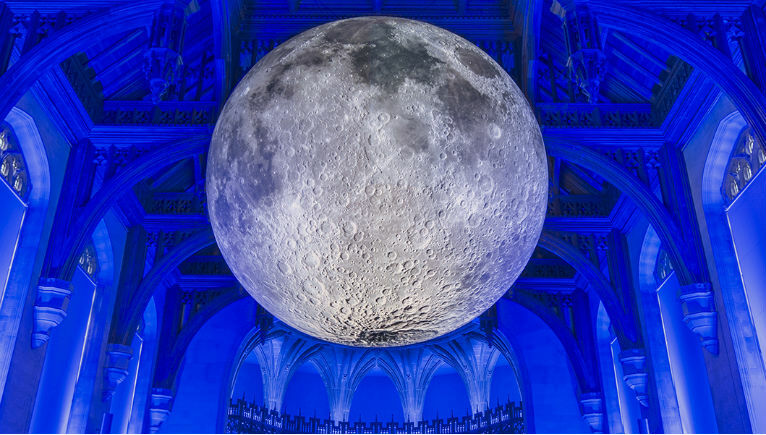 Visit the Natural History Museum’s website to find out more about COMPANION: MOON, along with a whole range of other events as part of a series exploring the Museum of the Moon exhibit.